This is a traditional Kerala curry, spicy and holding a prominent place on breakfast tables. Puttu and Kadala curry is the vegetarian combination that you get in any hotels in Kerala. This is relished by kids and adults alike. 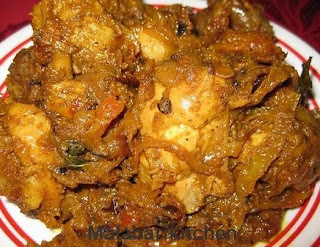 The below is a combination of kadala with fried coconut and spices. 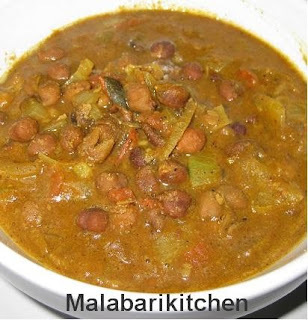 =►Soak chana dal overnight and boil it with water and salt. =►Fry ½ cup of grated coconut until the color turns brown and grind it well and keep it aside. =►Heat 4tsp of oil in a pan, add fennel seeds and allow it to crack. 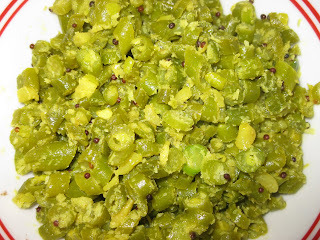 =►When it cracks add sliced garlic, green chilies and curry leaves into it. =►Next put turmeric, chilly and coriander powder and fry it for1min. =►Add sliced tomato and mix it well. When it is cooked well add boiled chana dal into it. =►Sauté it and add grinded coconut paste into it. Keep it for 3-4min on medium flame. =►It is best with puttu, rava upma or chapatti.